dot nyc: How are we doing? "dot nyc: How are we doing?" 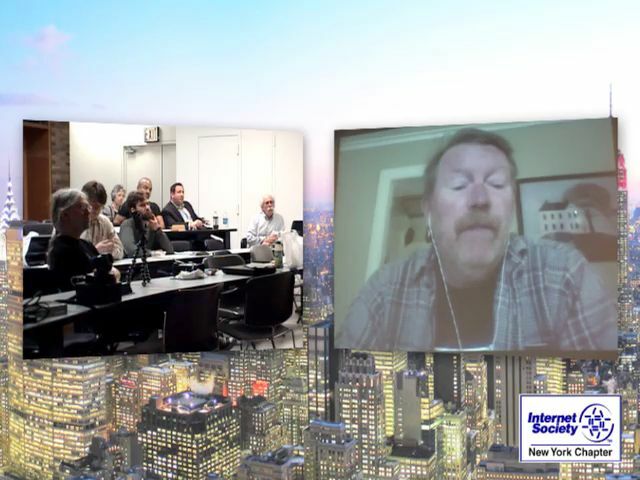 The Internet Society - New York Chapter (ISOC-NY) has for some years been following the .nyc and ICANN process on behalf of the NYC community and, on May 8 2010, hosted a seminar "dot nyc - How are we doing?" at NYU. NYC Council Member Gale Brewer delivered keynote remarks, then vendor Eric Brunner-Williams of CORE Internet Council of Registrars revealed details of their proposal to the City, and Antony Van Couvering of Minds + Machines and Public Advocate Beill DeBlasio's earlier comments to the City Council were shown in video. There was a discussion "What's it for?" about possible applications - civic, community, commercial, and "outside the box" - for a local top level domain. Speakers included Tom Lowenhaupdt of Connecting .nyc and Richard Knipel of Wikimedia NYC. A DVD of this talk is available free ($5 donation optional) from dvd@isoc-ny.org. Ask for DVD1744.